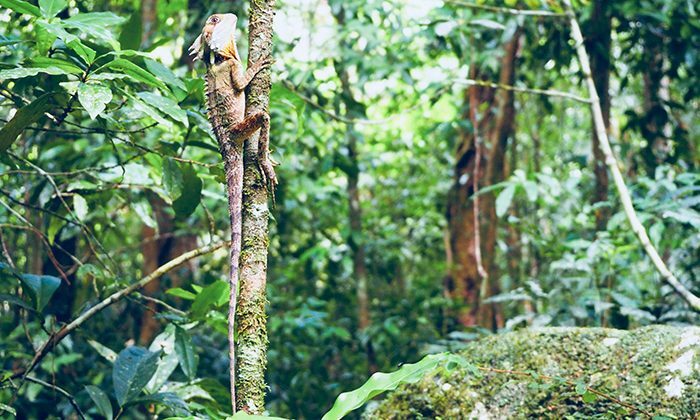 The Heritage-protected Daintree Forest is the world’s oldest jungle, predating the Amazon and home to dozens of plants and creatures you won’t find anywhere else. 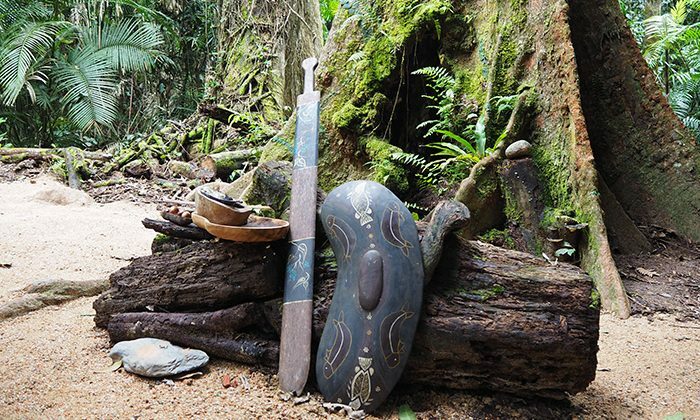 It also has a cultural legacy of indigenous people who know the forest for the trees, from healing medicine plants to those that sting and poison. 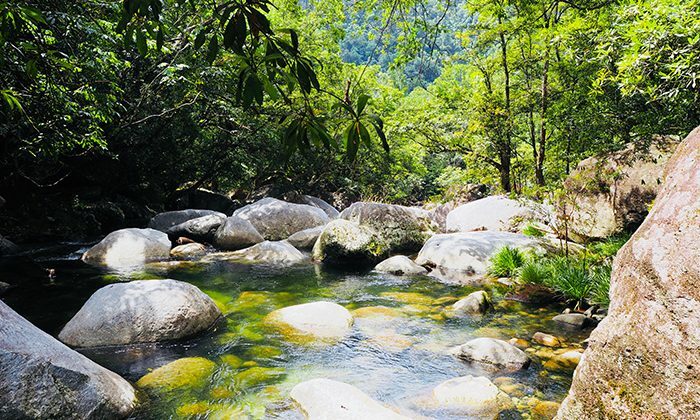 Operating out of the Mossman Gorge Visitor Centre and supporting the local Kuku Yalanji indigenous community, Ngadiku Dreamtime Walks takes you along private tracks to learn stories about the region’s fascinating people, flora and fauna. Length of Trip : The walk lasts for one and half hours. 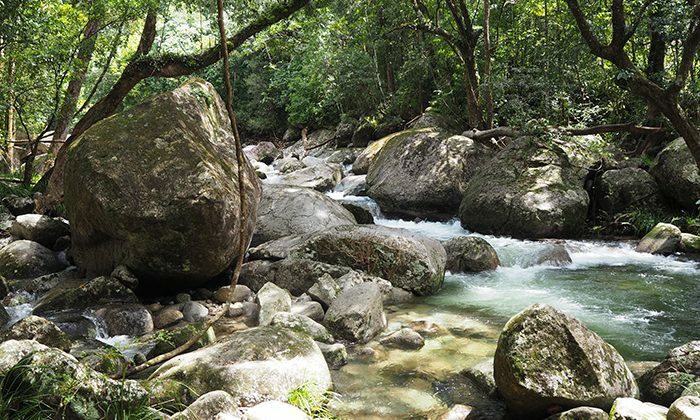 Click here for the latest Mossman Gorge Dreamtime Walk prices. The on-site Mayi Cafe and Restaurant features locally sourced produce infused with Indigenous bush ingredients offering light snacks, refreshments and meals. Private swimming pool access and BBQ areas make for a perfect family vacation destination at the Oaks Lagoons in nearby Port Douglas. Mossman Gorge is 77km north of Cairns and 20km north of Port Douglas. A daily transfer is available between Port Douglas and Mossman Gorge, depart Port Douglas from BTS Port Douglas Office (49 Macrossan St) 9.00am and 12.00 and departing from the Mossman Gorge Centre at 12.45pm and 2.45pm. Departing every 15 minutes, a shuttle bus leaves the Mossman Gorge Centre and takes visitors into the heart of the Gorge, and to the start of the Dreamtime Walk. 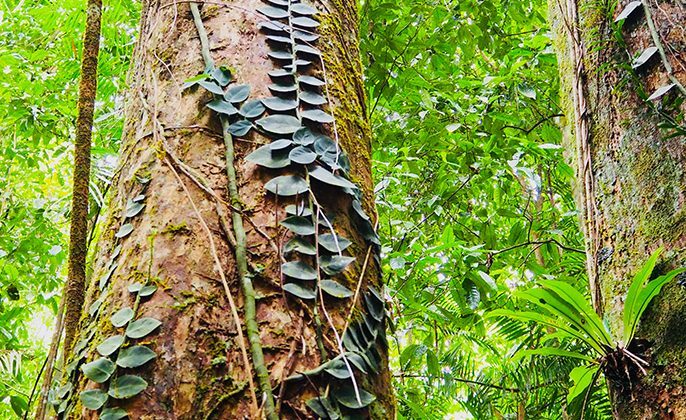 The Daintree houses a pharmacy of plants that can both heal and destroy; listening to the knowledge of elders, passed down through the millennia, is essential to help us determine which is which. 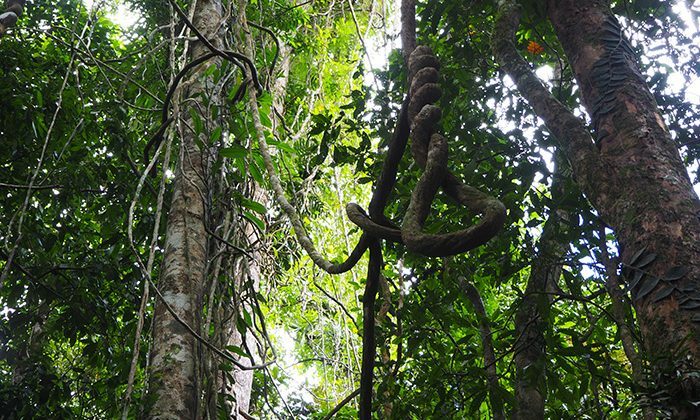 Sap from certain trees can be used to heal wounds, act as glue, and also poison spears. There are stinging trees that will drive you crazy with pain for months, unless you quickly dig up the roots, crush them and rub them on the scratch. Medicine trees to cure toothache and upset stomachs and help insect bites, and other trees with poison-thorns, razor-sharp stems, and sap that will blister your skin. 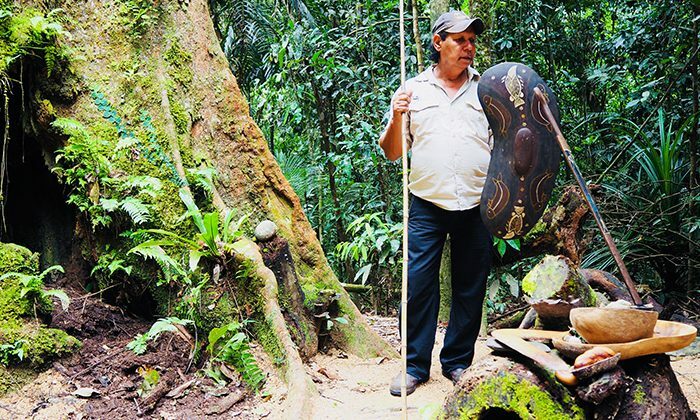 My guide Mooks not only introduced the wonders of the forest, but also his incredible life story. 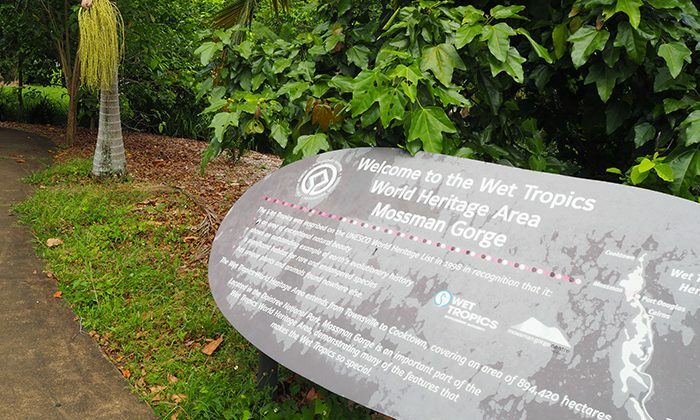 Does a Mossman Gorge Dreamtime Walk belong on The Great Australian Bucket List?